Opticalmax Eyedrops Blue 10 ml drops order online. 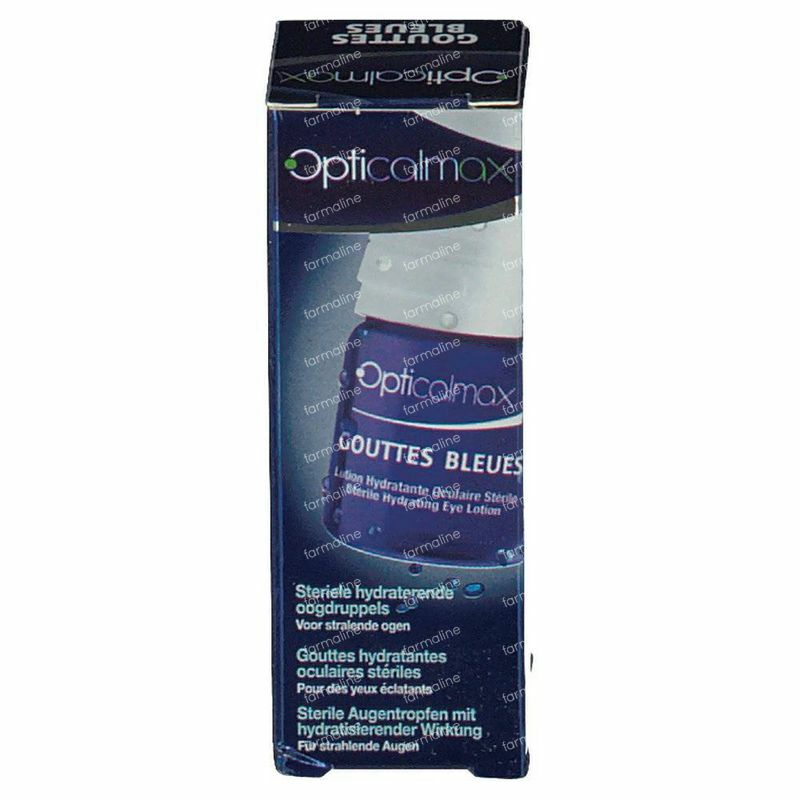 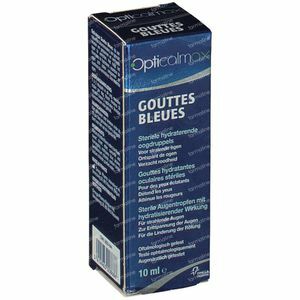 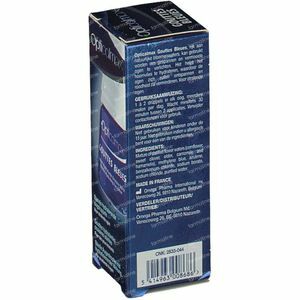 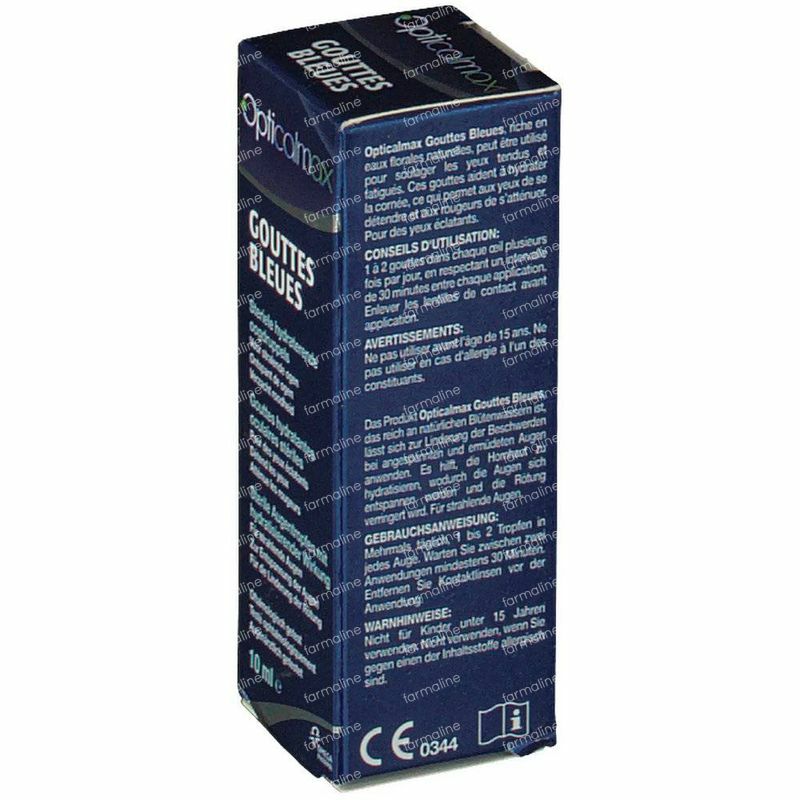 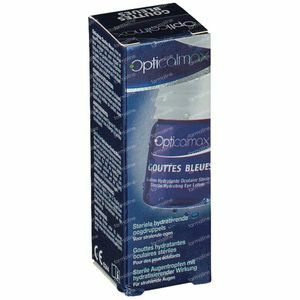 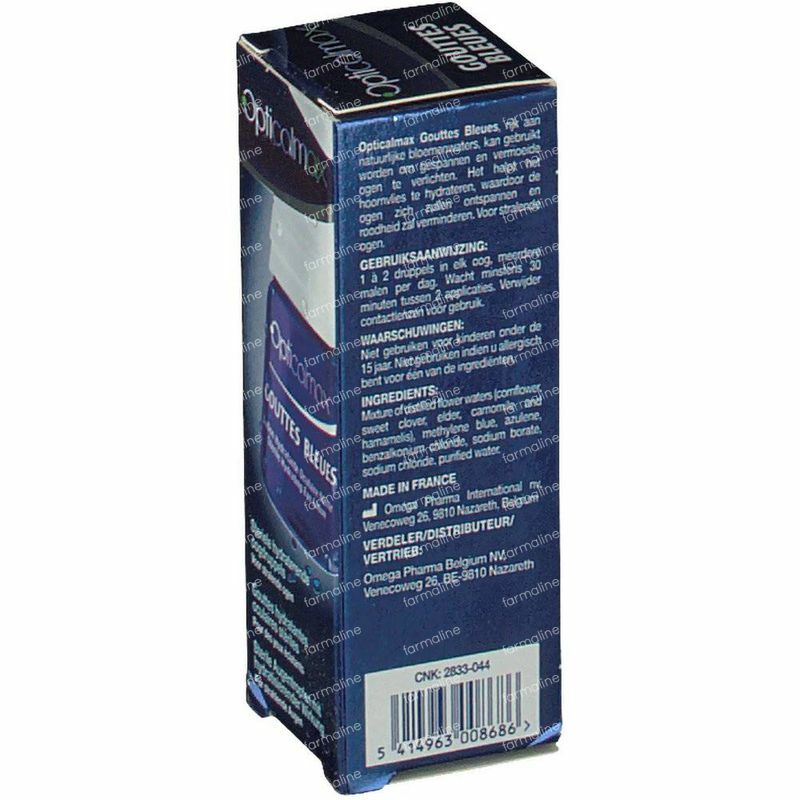 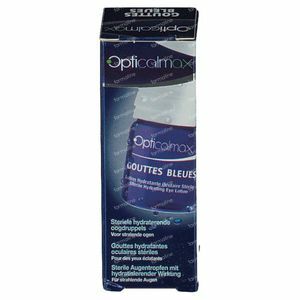 Opticalmax Eyedrops blue are eyedrops designed to reduce eye stress after long visual activity such as a long day or a night out. 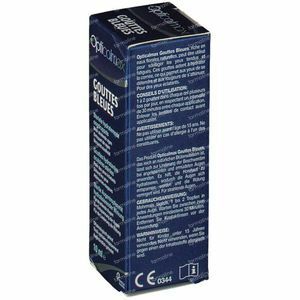 Is often used by photographers and artists.